Do you love classic JRPGs? Don’t have time to sit through 20 minutes of cutscenes on your morning commute? 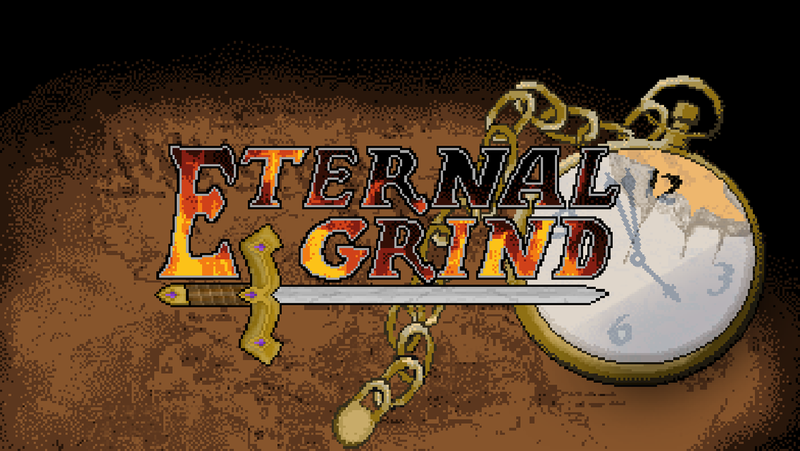 Well, have we got a game for you… Eternal Grind takes all the time consuming stories and swaps them for nonstop battles and a never ending quest for loot. Take on the world with dozens of different classes, each with special abilities and attacks. With no level cap this Rougelike RPG will go on forever with new places to explore, new enemies to fight, and new loot to well… loot. Just one catch, don’t die or you have to start all over again. To promote Eternal Grind and grow its popularity (top games), use the embed code provided on your homepage, blog, forums and elsewhere you desire. Or try our widget. Action Roguelike inspired by Classic Legend of Zelda and traditional Roguelikes. Guide Torgar Splitbeard through the ancient Deepgold Mine, searching for the 7 shards of the Mastery Crystal. Classic dungeoncrawl/roguelike RPG.